"Menis opens for consideration an immense range of significant poetic possibilities, not the least of which is that of an ethical sense for the term. "-Bryn Mawr Classical Review"Henceforth no one will be able to claim that menis merely connotes strong emotion. Muellner has demonstrated that menis is a critical component of the workings of both the human and divine cosmos. And that is no small accomplishment. "-American Journal of Philology"It is high praise, and deserved, to say that this study will take its place . . . as one of the works that have given us insights into truly fundamental issues in Homer. 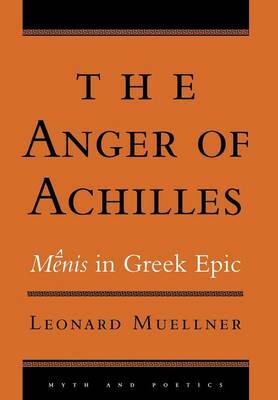 "-Classical JournalLeonard Muellner's goal is to restore the Greek word for the anger of Achilles, menis, to its social, mythical, and poetic contexts. His point of departure is the anthropology of emotions. He believes that notions of anger vary between cultures and that the particular meaning of a word such as menis needs to emerge from a close study of Greek epic. Menis means more than an individual's emotional response. On the basis of the epic exemplifications of the word, Muellner defines the term as a cosmic sanction against behavior that violates the most basic rules of human society. To understand the way menis functions, Mueller stresses both the power and the danger that accrue to a person who violates such rules. Transgressive behavior has both a creative and a destructive aspect.